Made in the USA! 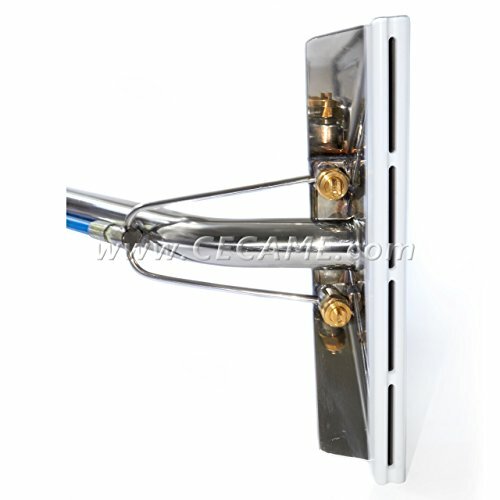 Double jet, s-bend stainless steel GlideMaster wand. It is rated for use up to 1200 PSI and high heat. Corrosion and rust resistant, this tool is built to last a lifetime. 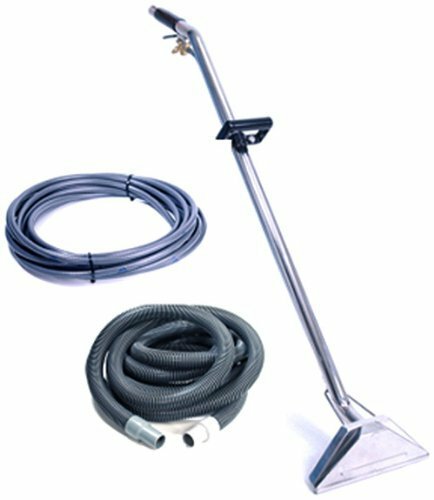 This dual jet low profile carpet cleaning wand has a 12" wide head and contains a 3000 PSI rated blue solution line hose and comes standard with a 1/4" male quick disconnect. It's compatible with both truckmounts and portable extractors. 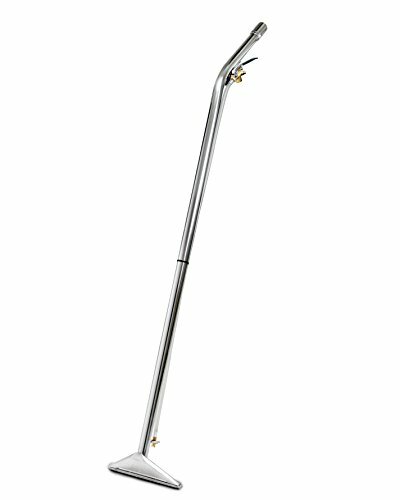 This carpet cleaning wand features great craftsmanship and is built to last and get the job done. 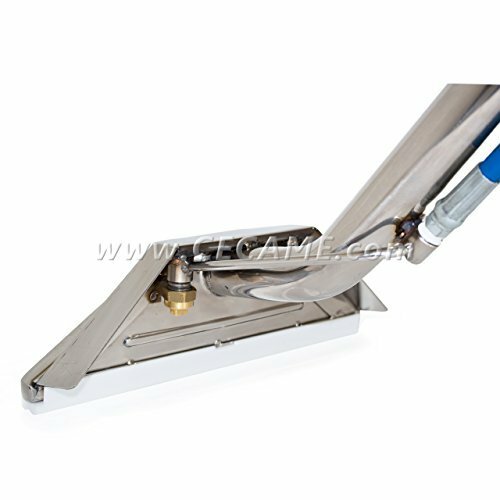 Universal teflon wand glide. Fits most 12" carpet wands and is easy to install. 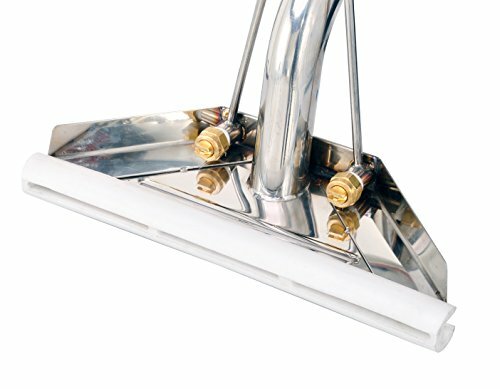 This glide is designed to reduce fatigue by gliding over the carpet. You can also use this product on your carpet wand to pick-up water on hard surfaces like bathrooms or kitchens. Carpet wand is not included. 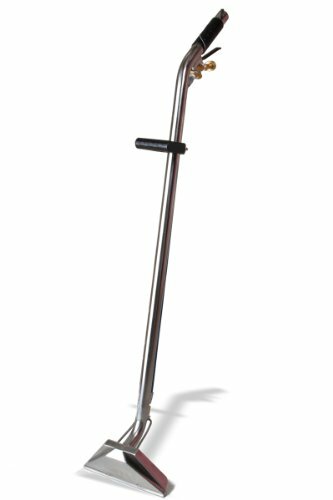 The wandbrush offers the maximum scrubbing ability short of getting on your hands and knees. If the wandbrush cant get the stain out then you are probably out of luck. You just simply can not engage carpet fibers more aggressively. You can clean carpet with much less physical work but you can't scrub a stain with a wand, Powermate or a Rotovac like this brush can. Here is how it works- the brush mounts to the face of a standard wand and moves up and down about 1.5" to meet the carpet. It is controlled with a hand lever mounted near the handle of the wand. A cable runs down the wand tubing and connects to the wand brush. It is spring loaded and slides up and down a channel. The resting position for the brush is up and out of the way. When you want to use it you just grasp the lever with your hand thats already on the handle and squeeze. The construction is very durable and includes a cable similar to what you would find connecting bicycle brakes to the hand lever. This item does not come with a wand. 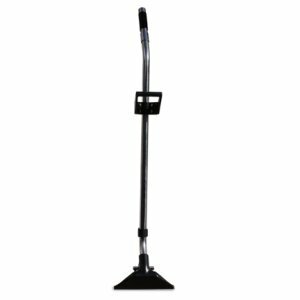 Low Profile Carpet Cleaning Wand & Glide This low profile dual jet carpet cleaning wand comes with a glide. The glide easily snaps on and off. 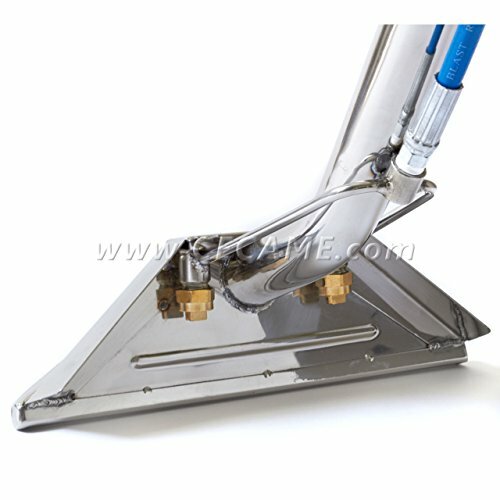 The glide will reduce friction on various types of carpet and is a good tool to have for the everyday carpet cleaner. 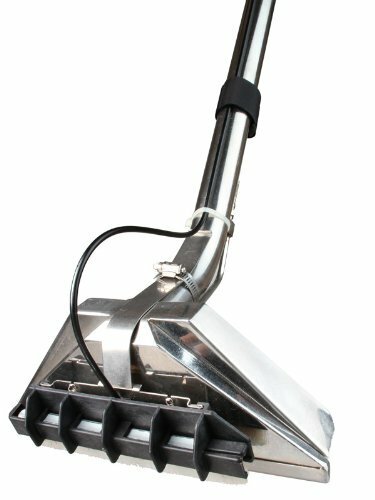 The wand and glide are both compatible with your truckmount and portable extractors. *Note: The glide does not come sealed on to the carpet cleaning wand. It easily snaps on and off. In order to get an air tight seal the glide will have to be sealed to the wand. The glide can easily be sealed by using plumber's goop. Snap the glide on to the wand and seal the edges and corners with plumbers goop, allow the plumbers goop to fully dry prior to using the wand. *Note: Comfort grip handle on wand may vary in design due to manufacturer. Looking for more Extraction Wand similar ideas? Try to explore these searches: Side Zip Desert Boots, San Joaquin County Ca, and Fun Tropical Table Lamp. Look at latest related video about Extraction Wand. Shopwizion.com is the smartest way for online shopping: compare prices of leading online shops for best deals around the web. Don't miss TOP Extraction Wand deals, updated daily.